Highway of death: Why has Indian Head Highway had so many fatal crashes? According to AAA, at least 14 people have been killed in crashes along Indian Head Highway in the past four years. Three pedestrians also have died there since 2013. 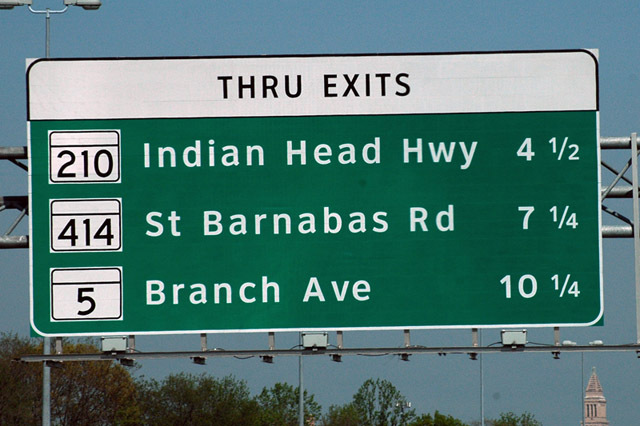 WASHINGTON — You don’t have to ask him twice about why Indian Head Highway, otherwise known as Md. 210, is so deadly. “Aggressive and reckless driving is the order of the day on Indian Head Highway,” said the Rev. Robert Screen, the chaplain at Fort Washington Medical Center. Screen is often called upon in the middle of the night to console the loved ones of those killed or seriously hurt in crashes on the highway, which is near the hospital. He’s written letters to Maryland’s governor, state police and to Prince George’s County’s executive and police chief in order to voice his concerns. “You just haven’t had the amount of police awareness, presence, enforcement policies to keep up with the volume of traffic … and the number of people … speeding,” said Screen. On Tuesday, AAA Mid-Atlantic released data from its analysis of crash data provided by Prince George’s County police. According to AAA, at least 14 people have been killed in crashes along Md. 210 in the past four years. Three pedestrians also have died there since 2013. The highway has developed a deadly reputation. Many residents also remember the worldwide headlines made in 2008, when eight people were killed in a drag race gone bad — an illegal drag racer plowed a crowd of spectators in Accokeek, Maryland. Four motorcyclists were killed in crashes on Indian Head Highway between 2014 and 2017, according to AAA data. Regional growth over the past decade has put thousands more cars on Md. 210 and the debut of MGM National Harbor has added even more traffic. AAA said it’s up to drivers to be extra vigilant. Screen said the state officials must commit to fixing the road and bridges.